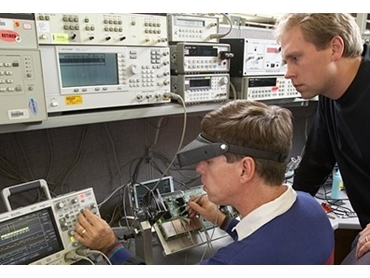 Agilent Technologies introduces an enhanced version of its InfiniiVision 2000 X-Series oscilloscopes designed to provide more performance at a lower cost. First introduced in early 2011, the InfiniiVision 2000 and 3000 X-Series oscilloscopes incorporated breakthrough technology that allowed advanced capabilities at an affordable price. The latest version of the InfiniiVision 2000 X-Series includes capabilities that bring more memory and a variety of low-cost serial decoding options for computer and embedded systems designers, as well as automotive and aerospace manufacturers. The upgraded InfiniiVision 2000 X-Series oscilloscopes are ideal for educational institutions, manufacturing test environments and R&D benches. The latest upgrades are available with a bonus five-year factory warranty (two years longer than the previous warranty). The Agilent InfiniiVision 2000 X-Series offers bandwidths from 70 MHz to 200 MHz, boasting one of the fastest waveform update rates in its class for superior viewing of signal detail and infrequent events. The enhanced oscilloscopes enable users to see more of their signal more of the time, do more with the power of five instruments in one, and get more investment protection with upgrade options and a five-year warranty as standard.